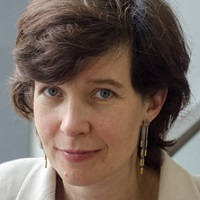 Alice Mesnard is a Reader in Economics at City University of London and is Programme Director of the MSc Development Economics. Her main research interests are in the fields of Development Economics, Migration, Policy Evaluations and Applied Microeconomics. Prior to joining City, she was a Senior Economist at the Institute for Fiscal Studies where she worked at the Center for the Evaluation of Development Policies (EdePo). Her research has been mainly devoted to understanding the role of public policies in improving human development. Public policies she has been studying are mainly related to migration, education (Conditional Cash Transfer programme "Familias en Acción" in Colombia), health (maternal health and nutrition programmes in Malawi, Health Insurance in Nigeria, Quarantine measures after the outbreak of infectious diseases such as Ebola) and labour market (New Deal programmes in the UK). She received her PhD from the Ecole des Hautes Etudes en Sciences Sociales (Paris) in 1999 in the "European Doctoral Program in Quantitative Economics. Subsequently she was an Assistant Professor at the University of Toulouse and has since been a visiting Professor in several Universities including the Toulouse School of Economics, the University of Paris Dauphine and the Paris School of Economics. - 2010-2013: AFD-HEWLETT "Health Risks and Migration in Sub-Saharan Africa" . Principal Investigator. - 2008-2012 : ESRC-HEWLETT "Effects of Reproductive Health on Poverty in Sub-Saharan Africa" Co-Investigator. - 2007: ESRC Reference RES-000-22-1742 "School supply and the effectiveness of Conditional Cash Transfers" Principal investigator. - 2007-2009 : DFID-ESRC "Human Capital Accumulation and Poverty Reduction in Developing Countries". Co-Investigator. - 2005-2006 : Department for Work and Pensions (UK) Reference Number 11c/04/dwp "Ethnic Parity in Jobcentre Plus Programmes and mainstream services". Co-Investigator. De Weerdt, J., Genicot, G. and Mesnard, A. (2019). Asymmetry of Information within Family Networks. Journal of Human Resources, 54(1), pp. 225–254. doi:10.3368/jhr.54.1.0616.8023r1 . Mesnard, A.M. and Auriol, E. (2016). To Control Migration Flows and Defeat Human Smuggling, Sell Visas. Washington DC: Center for Global Development. Mesnard, A.M. (2016). Le renforcement des frontières permet-il de mieux contrôler l’immigration? In Colin, A. and Thiollet, H. (Eds. ), Migrants, Migrations: 50 questions pour vous faire votre opinion Idées claires. Mesnard, A.M. (2012). Pop Pov conference on Reproductive Health and Economic Development. Pop Pov conference on Reproductive Health and Economic Development January, Accra, Ghana. Mesnard, A.M. (2011). AMID/BREAD/ CEPR conference on Development Economics. AMID/BREAD/ CEPR conference on Development Economics September, Paris. Mesnard, A.M. (2011). Conference on Research on Economic Theory and Econometrics (CRETE). Conference on Research on Economic Theory and Econometrics (CRETE) July, Greece. Mesnard, A.M. (2011). AFD-Harvard Kennedy School : 4th Migration and Development Conference. AFD-Harvard Kennedy School : 4th Migration and Development Conference June, Cambridge, MA. Mesnard, A.M. (2011). NORFACE Conference on “Migration :Economic Change, Social conference”. NORFACE Conference on “Migration :Economic Change, Social conference” April, UCL. Mesnard, A.M. (2011). CSAE conference. CSAE conference March, Oxford. Mesnard, A.M. (2010). EUDN /AFD conference on Development Economics. EUDN /AFD conference on Development Economics November, Paris. Mesnard, A.M. (2010). TEMPO conference on migration. TEMPO conference on migration October, Dublin. Mesnard, A.M. (2010). NORFACE conference on Migration. NORFACE conference on Migration October, UCL London. Mesnard, A.M. (2010). AFD - 3rd Migration and Development Conference. AFD - 3rd Migration and Development Conference September, Paris. Mesnard, A.M. (2010). Conference on Research on Economic Theory and Econometrics (CRETE). Conference on Research on Economic Theory and Econometrics (CRETE) July, Naxos, Greece. Mesnard, A.M. (2009). Conference Agence Française de Développement /European Union Development Network conferences (AFD-EUDN) on Development Economics. Conference Agence Française de Développement /European Union Development Network conferences (AFD-EUDN) on Development Economics December, Paris. Mesnard, A.M. (2009). CEPR Annual Symposium on Development Economics. CEPR Annual Symposium on Development Economics September. Mesnard, A.M. (2009). Conference on Conditional Cash Transfers, organised by the World Bank and the IFS. Conference on Conditional Cash Transfers, organised by the World Bank and the IFS May, London. Mesnard, A.M. (2008). CEPR workshop on Conflicts and Development. CEPR workshop on Conflicts and Development December, Paris. Mesnard, A.M. (2008). Conference Agence Française de Développement /European Union Development Network conferences (AFD-EUDN) on Development Economics. Conference Agence Française de Développement /European Union Development Network conferences (AFD-EUDN) on Development Economics December, Paris. Mesnard, A.M. (2008). Conference on Research on Economic Theory and Econometrics (CRETE). Conference on Research on Economic Theory and Econometrics (CRETE) July, Naxos, Greece. Mesnard, A.M. (2008). CEPR conference on Development Economics. CEPR conference London. Mesnard, A.M. (2007). Conference Agence Française de Développement /European Union Development Network conferences (AFD-EUDN) on Development Economics. Conference Agence Française de Développement /European Union Development Network conferences (AFD-EUDN) on Development Economics December, Paris. Mesnard, A.M. (2007). Conference on Research on Economic Theory and Econometrics (CRETE). Conference on Research on Economic Theory and Econometrics (CRETE) July, Naxos, Greece. Mesnard, A.M. (2007). CEPR conference on Development Economics. CEPR conference Stockholm. Mesnard, A.M. (2006). Conference Agence Française de Développement /European Union Development Network conferences (AFD-EUDN) on Development Economics. Conference Agence Française de Développement /European Union Development Network conferences (AFD-EUDN) on Development Economics December, Paris. Mesnard, A.M. (2006). CEPR conference on Development Economics. CEPR conference Paris. Mesnard, A.M. (2005). CEPR Annual Symposium on Public Policy. September. Mesnard, A.M. (2005). Cornell University and IFPRI conference on Non Linearities in Development. Cornell University and IFPRI conference on Non Linearities in Development May, Washington. Mesnard, A.M. (2004). World Bank and Inter -american Bank for Development conference. World Bank and Inter -american Bank for Development conference July, Bogota, Colombia. Mesnard, A.M. (2003). Conference on Markets for Pharmaceuticals and the Health of Developing Nations, Toulouse School of Economics ( IDEI). Conference on Markets for Pharmaceuticals and the Health of Developing Nations, Toulouse School of Economics ( IDEI) December, Toulouse, France. Mesnard, A.M. (2001). World Bank Conference on European Integration of South-West European countries. World Bank Conference on European Integration of South-West European countries June, Bari (Italy). Mesnard, A.M. (2000). EURESCO conference on Migration. EURESCO conference on Migration May, Sapri (Italy). Fitzsimons, E., Malde, B., Mesnard, A.M. and Vera-Hernández, M. (2014). Household Responses to Information on Child Nutrition: Experimental Evidence from Malawi. IFS Working Paper. Sierra Leone. International Journal of Health Economics and Policy, 3(1). Janssens, W., Goedecke, J., de Bree, G.J., Aderibigbe, S.A., Akande, T.M. and Mesnard, A. (2016). The Financial Burden of Non-Communicable Chronic Diseases in Rural Nigeria: Wealth and Gender Heterogeneity in Health Care Utilization and Health Expenditures. PLOS ONE, 11(11). doi:10.1371/journal.pone.0166121 . Auriol, E. and Mesnard, A. (2016). Sale of Visas: a Smuggler's Final Song? Economica, 83(332), pp. 646–678. doi:10.1111/ecca.12204 . Fitzsimons, E., Malde, B., Mesnard, A. and Vera-Hernández, M. (2016). Nutrition, information and household behavior: Experimental evidence from Malawi. Journal of Development Economics, 122, pp. 113–126. doi:10.1016/j.jdeveco.2016.05.002 . Mesnard, A.M. and Seabright, P. (2016). Migration and The Equilibrium Prevalence of Infectious Diseases. Journal of Demographic Economics, 82(1), pp. 1–26. doi:10.1017/dem.2015.12 . Mesnard, A.M. and Djajic, S. (2015). Guest Workers in the Underground Economy. Labour Economics. Fitzsimons, E. and Mesnard, A. (2014). Can Conditional Cash Transfers Compensate for a Father's Absence? The World Bank Economic Review, 28(3), pp. 467–491. doi:10.1093/wber/lht019 . Attanasio, O., Battistin, E. and Mesnard, A. (2012). Food and Cash Transfers: Evidence from Colombia. The Economic Journal, 122(559), pp. 92–124. doi:10.1111/j.1468-0297.2011.02473.x . Mesnard, A.M., Attanasio, O., Fitzsimons, E., Guterrez, M.I. and Meghir, C. (2010). Child Education and Work Choices in the Presence of a Conditional Cash Transfer Programme in Rural Colombia. Economic Development and Cultural Change, 58(2), pp. 181–210. Mesnard, A.M. and Seabright, P. (2009). Escaping infectious diseases through migration ? Quarantine measures under incomplete information about infection risk. Journal of Public Economics, 93, pp. 931–938. Mesnard, A.M. (2006). The impact of a conditional cash transfer programme on consumption in Colombia. Fiscal Studies. Mesnard, A.M., Dearden, L. and Shaw, J. (2006). Ethnic differences in birth outcomes in England. Fiscal Studies. Mesnard, A.M. and Ravallion, M. (2006). The wealth effect on new business sartups in a developing economy. Economica, 73(291). Mesnard, A.M. (2004). Temporary migration and Self-Employment: Evidence from Tunisia. Brussels Economic Review, 47(1). Mesnard, A.M. (2004). Temporary migration and capital market imperfections. Oxford Economic Papers, 56, pp. 242–262. Mesnard, A.M. and Azam, J.P. (2003). Civil war and the social contract. Public Choice, 115(3). Mesnard, A.M. (2003). Guerre Civile et Contrat Social. Dynamiques de développement. Mesnard, A.M. (2001). Intergenerational mobility and temporary migration. Louvain Economic Review, 67(1). Mesnard, A.M. and Gaumont, D. (2001). Inheritance, land and capital mobility linked to labour migration. Journal of Population Economics, 14. Mesnard, A.M. and Gaumont, D. (2000). Altruism and international labour migration. Journal of Population Economics, 13. Mesnard, A.M., Crawford, C., Dearden, L., Shaw, J., Sianesi, B. and Urwin, P. (2007). Estimating Ethnic Parity in Jobcentre Plus Programmes: A quantitative analysis using the Work and Pensions Longitudinal Study (WPLS)..
Mesnard, A.M., Attanasio, O., Battistin, E., Fitzsimons, E., Meghir, C. and Vera-Hernandez, M. (2006). Evaluación del impacto del programa Familias en Acción - subsidos condicionados de la red de apoyo social: Informe del primer seguimento..
Mesnard, A.M., Attanasio, O., Battistin, E., Fitzsimons, E. and Vera-Hernandez, M. (2005). How effective are conditional cash transfers? Evidence from Colombia..
Mesnard, A.M., Attanasio, O. and Catsro, C. (2005). Displacement, conflict and welfare : an empirical analysis..
Mesnard, A.M. and Attanasio, O. (2005). The impact of a conditional cash transfer programme on consumption in Colombia..
Mesnard, A.M. Migration, violence and welfare: an empirical analysis from rural Colombia. Mesnard, A.M., Crawford, C., Dearden, L., Shaw, J. and Sianesi, B. Ethnic parity in labour market outcomes for benefit claimants. Mesnard, A.M. and Fitzsimons, E. «Are boys and girls affected differently when the household head leaves for good? Evidence from school and work choices in Colombia». Mesnard, A.M., Malde, B., Fitzsimons, E. and Vera-Hernandez, M. Responses to Information on Child Nutrition: Experimental Evidence from Malawi. Mesnard, A.M., Genicot, G. and De Weerdt, J. Asymmetry of Information within Family Networks. Development Economics, Population Economics, Migration, Applied Econometrics, Social Policies, Public Economics. 2010-to present: Lectures at City University in Development Economics to PG and UG Students. Lectures in Applied Econometrics to third year UG students. Lectures in Applied Microeconomics to first year UG students. Lectures in Research Methods to PG students. 2014 onwards : Lectures in «Social Policies in developing countries» to PG students in Master PPD at the Paris School of Economics. 2005, 2006: Lectures in Public Economics to UG Students in Oxford and Cambridge Universities. 1999-2003: Core Module in Development Economics to students training for “Ingenieur” special diploma in Toulouse University. 1999-2003 : Core Module on Economics to first year undergraduate students in Law. Organised experimental games to simulate market mechanisms. 1999-2001 : Trained teachers in France to prepare for the French national “Agregation” competition which gives them the title of Professor. Lectures in population economics. 1997-1999 : Lectures in microeconomics to undergraduate students at the University of Paris 2. «Même à l'heure d'Ebola, on n’empêchera jamais les hommes de migrer» published by l’Opinion 18/10/2014. « Ebola : effets pervers de la quarantaine » published by Temoignages 16/10/2014. « Ebola, attention aux msies en quarantaine ! » published by Sante Cool on line 16/10/2014. « Ebola : le danger des mesures trop strictes de quarantaine » published by Entrepatients on line 16/10/2014. News on migration crisis. BFM TV Discussion of the situation in Calais during the visit of French Prime Minister and Minister of Home Affairs.